In the stock market, you can buy and sell shares of companies. Based on these shares, derivatives instruments are also traded on the market. These instruments are an agreement to buy or sell the underlying shares in the future. This agreement is sold in the market. They are called contracts. Derivative instruments are available for shares, indices, currencies as well as commodities. Their value is tied to the underlying security. Types of Derivative Instruments: There are two kinds of derivative instruments – futures and options. Futures are contracts or an agreement between two parties to either buy or sell a fixed quantity of assets at a particular time in the future for a fixed price. An option is also a similar contract, except the parties are not obligated to fulfill the terms of the agreement. These contracts are then traded in the market. The minimum value of a contract is Rs 2 lakh. What does Shriram Insight Offer? 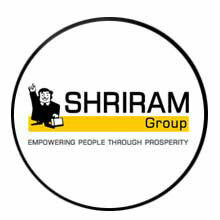 We, at Shriram Insight, have strived to make F&O trading simpler. Our derivatives seminars educate new entrants in the derivatives market to be better equipped with knowledge and techniques. You can refer to the Shriram Insight to learn more about derivatives. Research Reports: Once you have the knowledge of trading in derivative instruments, our daily derivative reports will provide you with strategies that may yield good returns for you.